Police are training dozens of officers on Orkney, Shetland and the Western Isles to use Tasers as part of a major expansion programme. Fresh concerns were raised about the roll-out after local MSP Liam McArthur was told that 15 officers on Orkney – about half the total number – were due to be trained to use the devices. It is understood that Tasers were not routinely kept on Orkney before, and that a similar number of officers were also due to be trained to use them on Shetland and the Outer Hebrides. Mr McArthur said he had “serious doubts” about the justification for the roll-out, with the concerns following a huge controversy in the Highlands and islands in recent years over the routine arming of officers. 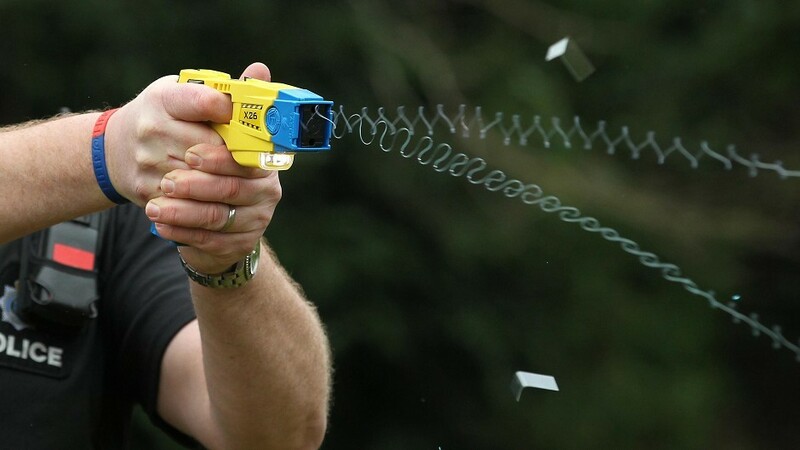 It follows an announcement in December that an extra 500 officers across Scotland would be trained to use the Taser X2, after an increase in the number of assaults on officers on duty, from 764 in 2016 to 969 in 2017. Mr McArthur, a Liberal Democrat MSP, said: “Police officers and staff carry out difficult and often dangerous roles on our behalf. There is no question, therefore, that they need to have the means to keep both themselves and the public safe. “More extensive deployment of Tasers nationally has been justified by Police Scotland in the context of heightened risk, particularly of marauder attacks that have become all too familiar in recent years. “However, it is difficult to see how this can be used to justify around half of the police officers in Orkney being trained to use Tasers. “Community policing in Orkney, as in many other rural areas of Scotland, is founded on the principle of policing by consent. Assistant Chief Constable Nelson Telfer said: “Orkney is not immune to violent incidents and we must recognise the restrictions our officers face when policing in rural and island communities. “There have been 14 assaults on workers in the emergency services between April 17 and March 18 in Orkney and this is simply unacceptable.